Carbon dioxide shortages in the UK: What do we know so far? After reports emerged from the British Meat Processors Association this month (21 June), tensions have risen as the impacts of the CO2 shortages on the food and drink industry become more apparent. Carbon dioxide gas is used in the production of packaging and also as a humane method of stunning at the point of slaughter. A shortage of CO2 gas therefore affects a wide variety of foods, from cooked and fresh meat and ready meals through to pre-packaged salads. The shortage is Europe-wide and is a result of ammonia-producing plants closing down for essential maintenance during the summer, a time when demand tends to be lower for ammonia-containing compounds, such as fertiliser. CO2, a by-product of ammonia production, is sold on to slaughter plants and processing companies on request. Though the shortages are Europe-wide, UK companies have, so far, been hit the hardest as they are only able to purchase CO2 from two out of the five plants that exist in the UK, while the others continue maintenance. Beer and carbonated drinks companies, including Heineken, John Smith brands and Coca Cola, have had to cut production and sales around Europe with a number of companies halting all sales to UK pubs. Other industries, including food packaging and dry ice, are halting production and requesting buyers to cut down orders until the remaining plants come back into full CO2 production. However, more concerning are the animal welfare implications as some slaughter plants no longer have the capacity to correctly stun animals before slaughter, and are looking for alternatives. 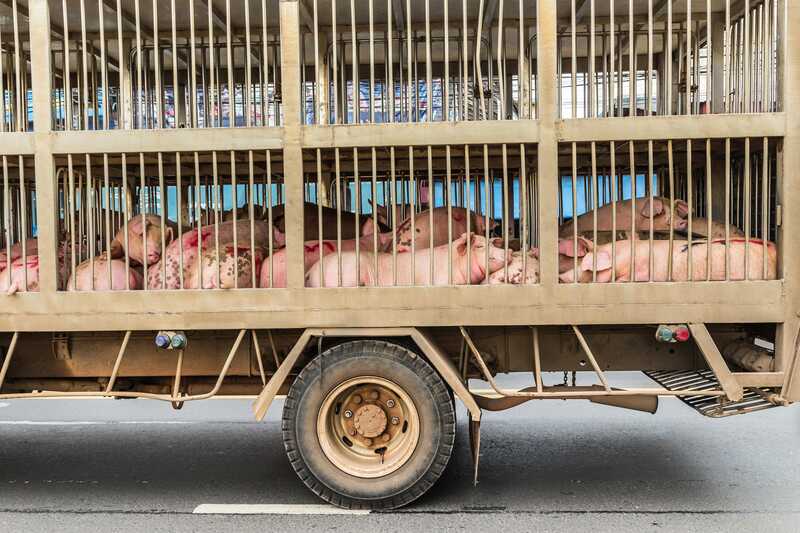 As reported in Pig World, animal welfare concerns have been raised as CO2 shortages restrict the number of animals that can pass through for slaughter, meaning that some producers are considering sending their animals to plants that are much further away. This increases transport times and stress. With this comes economic impacts for producers as meat quality degradation can occur when pigs are inflicted by transport and heat stress, especially with summer temperatures set to remain high in the coming weeks. Production at Tulip's plant in Brechin, Scotland, has been suspended following animal welfare and processing concerns. In a report issued by the National Pig Association yesterday (27 June 2018), Tulip says it is maintaining its supply chain in the face of CO2 shortages, which is forcing it to close the most-affected plants. The country's largest pork processor said the situation remains 'fluid' and that animal welfare remained its 'number one priority'. Though the shortages are a burden on the industry, National Pig Association chief executive Zoe Davies has commented that the issue is different for every plant, with some having alternative methods in place, although throughput is likely to be affected. She is hopeful that the pig industry will not see any lasting damage and that CO2 supplies should be restored soon. “We advise producers speak to their marketing group or processor if concerned. We are not aware of any major disruption at other plants yet, but clearly this situation may change should the gas supply situation not be resolved. It would be sensible for all producers to think about what they would do should supply be disrupted,” she added. Representatives from the farming and meat sectors have issued requests for the meat industry to be given priority during the shortage and when plants come back into full production. Sources: NPA; Pig World; BBC News; The Telegraph.